Drop-off at the same location. 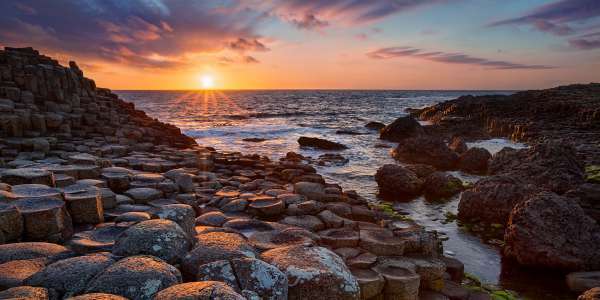 Breathtaking, lush landscapes combined with vibrant cities and historic attractions-all of this and more await you on this Irish Discovery tour, including Northern Ireland. Starting and ending in Dublin, explore Ireland in depth and hear exciting stories of its rich history, legends, and myths. New York | Suite Deal at Loews Regency on Park Ave.
Find the best Caribbean vacations in Punta Cana, Jamaica, Aruba, Puerto Rico and more. Discover all-inclusive Mexico vacation packages in Cancun, Cozumel, Riviera Maya, Puerto Vallarta & Cabo San Lucas. Explore the top U.S. vacation spots in New York City, Orlando, San Francisco, Las Vegas, Chicago, and more. Find the best tours & vacation packages to the Asian countries of China, Thailand, Vietnam, Japan, and more. Check out some bucket list trip ideas like an African safari, a cruise around the world, or an over-water bungalow in Tahiti. Check out cruises to the Eastern and Western Caribbean Islands from major cruise lines. Cruise to Mexico and explore Cozumel, Puerto Vallarta and Cabo from many departure ports. See Europe from a cruise ship on a Mediterranean cruise or a river cruise through European rivers. Cruise to Alaska for breathtaking views of glaciers, whales, and coastal villages. Take a cruise to Hawaii and enjoy the Pacific crossing from major cruise lines. Search for hotels in popular cities around the United States whether you're traveling to the West, Midwest, Northeast or South. Heading north? Find hotels in Canada and get the best hotel deals in Montreal, Toronto, Vancouver and Quebec. Search through our hotel deals in France, England, Spain or Italy and find a perfect hotel for your trip abroad. Heading to Paradise? Find the perfect all-inclusive getaway in the Caribbean. Choose from our collection of sun-drenched resorts in the Islands. Whether you're visiting Cabo, Cozumel or Cancun, find a relaxing, all-inclusive resort in Mexico with sun, sand and a sparkling pool. If you are heading to Rio or Lima, you can find a hotel deal at the right price with luxury amenities on our South American hotels page. Save Big on Cheap Vacation Packages, Hotels, Cruises, and Last-Minute Travel Deals! Looking to book your dream vacation at a price you can afford? Dunhill Travel can help. We have a number of search tools available to help you peruse all of the best deals on the Internet. Whether you’re looking for a luxurious cruise, an amenity-rich hotel, a complete vacation package, or a last-minute steal, our search platform can give you access to the best possible prices. To get started, all you have to do is choose a location, pick some dates, and prepare yourself for massive savings. Don’t be shocked when you see just how affordable your dreams can be. Hotels are the second most expensive part of any trip—after airfare. In fact, being unable to find affordable accommodations is one major reason why so many dream trips fall flat. Don’t let hefty price tags crush your dreams. With our help, you can browse some of the best hotel deals the Internet has to offer. Check out five-star suites, exotic yurts, or family-style apartments—the choice is yours. You’ll be able to score great prices on some of the most exclusive destinations without blowing your life savings or taking out a second mortgage on your house. With sparkling water surrounding you on every side, there’s nothing better than relaxing on the deck of a cruise ship. Before resigning yourself to a life on the land because of high prices, why not try a search with our cruise deals tool? Our site automatically scans the web to find all of the best prices on some of the top cruise lines including Royal Caribbean, Oceania, Carnival, Celebrity, and more. You’ll be able to find a number of affordable options so that you can travel to your dream destination without breaking the bank. Vacations are fun, but they’re even better when you don’t have to handle the planning. Book your entire vacation in one swift click by using our price search tool. Our search platform scours the web to curate the best vacation deals available. You’ll find amazing prices for some of the most exotic trips, such as swimming with the dolphins in the Caribbean or climbing peaks in the Rocky Mountains. Packages may include amenities such as flights, hotels, meals, car rentals, and excursions. The only thing left will be for you to pack your bags and have fun. Maybe you’re not one to plan. Instead, you go with the flow. Had a tough week at work? Why not take a weekend vacation to alleviate your stress? If this impromptu style of travel sounds enticing to you, you’ll love our last-minute deals. Because hotels, airlines, and other agencies have openings for upcoming dates, they’ll often lower prices at the last second to attract more people. We curate these deals so that you can browse them and see if anything intrigues you. Be spontaneous and enjoy an adventure.